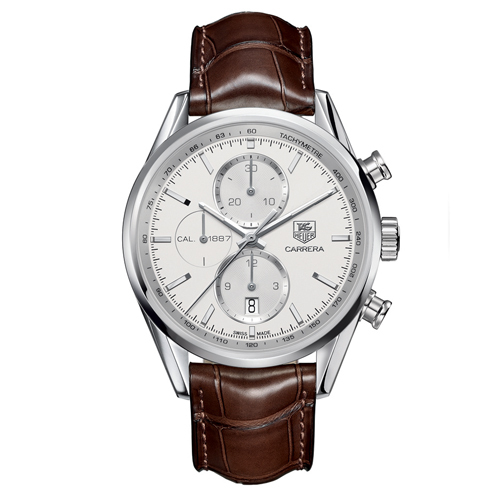 Tag Heuer watches represent men that know their style. Their maturity and years of experience have given them a confidence that many others admire. They’re as true to their style as they are to their beliefs. These men that wear Tag Heuer watches are men you want to know. Are you one of these men? Considering buying one of these fine timepieces? 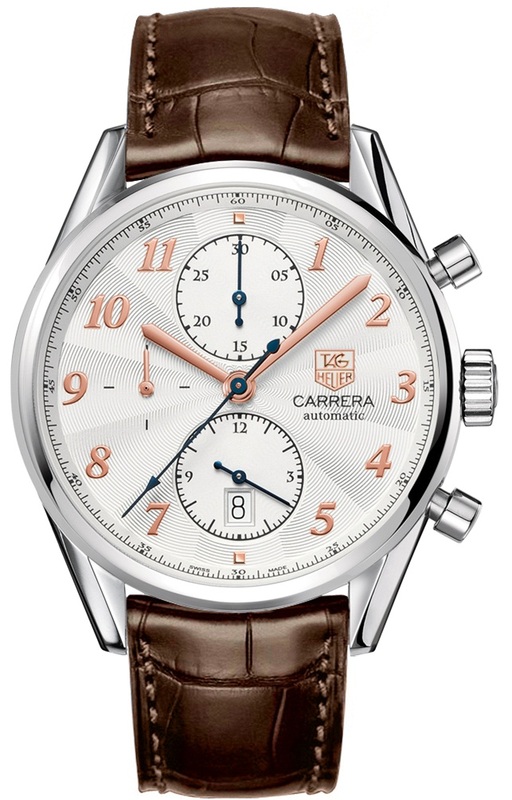 Then think about buying the Tag Heuer Carrera Men’s CAR2111.FC6291 watch. It might be your best decision yet. This beautiful watch has many qualities that would make any man proud to wear it. 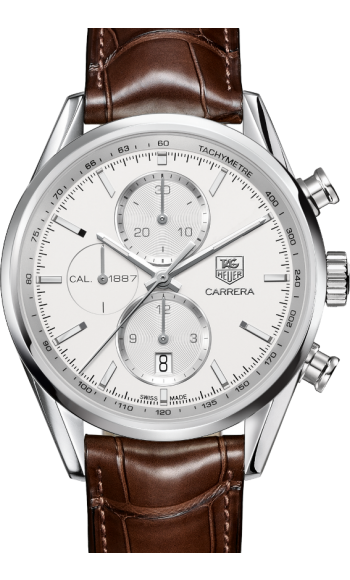 But if this is not your favorite watch, and considering another one that’s similar, then the Tag Heuer Carrera Heritage Chronograph Silver Dial Men’s Watch CAS2112.FC6291 is a good alternative. These two watches have many similarities, like weighing nearly the same amount of ounces, 330 feet water resistant, stainless steel case, alligator leather, and automatic chronograph movement. Despite their few similarities, the glaring differences is what makes these watches interesting to compare. The CAR2111.FC6291 case is 41mm and the CAS2112.FC6291 is 39mm in diameters. The CAS2112.FC6291 has huge numbers on the clock. The CAR2111.FC6291 does not have any. The brown leather on the CAS2112.FC6291 is a little darker than it is on the CAR2111.FC6291. The CAR2111.FC6291 retails for $4,800 and the CAS2112.FC6291 for $4,500. 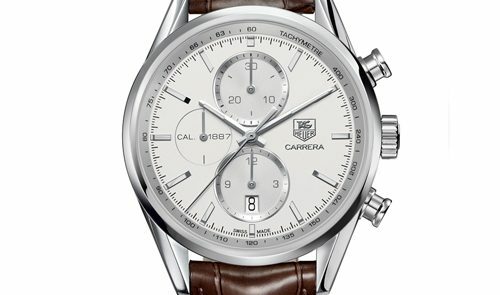 The bottom line, the Tag Heuer Carrera Men’s CAR2111.FC6291 is an amazing watch, but it may not appeal to everyone. The silver and brown colors blend together perfectly, creating a standout timepiece. The chronograph and other features give it an advance edge that takes it from being a simple watch to something of the future. Its extra touches of care, like adjustable straps and calendar, make this a true mixture of craftsmanship, innovation, and design. Tag Heuer continues to produce impressive watches and this might be your perfect match.